Let me tell you something: this is my #1 preferred recipe by far!! 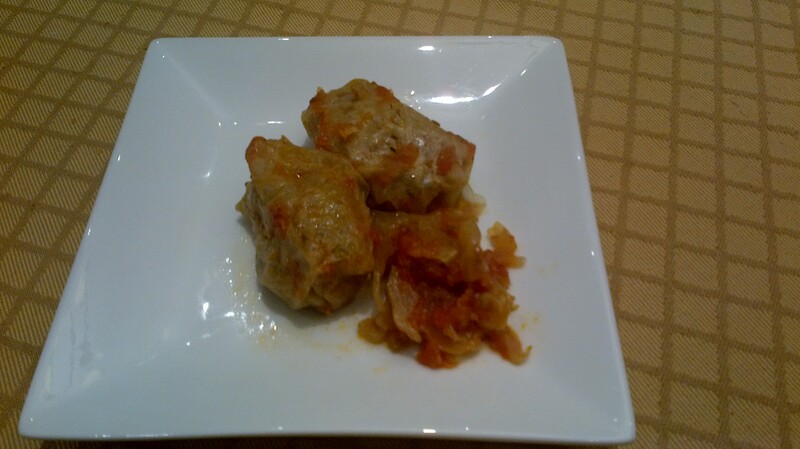 As a note, this is an original recipe from many generations of my wife’s family and this is “THE” cabbage rolls recipe. In a large mixing bowl combine onion, tomato paste, rice , zucchini, parsley and dill (finely chopped) and pepper. Add the meat to the mixture blending thoroughly until well incorporated by adding the water to the combination gradually. If you prefer the rolls not so sour, then leave the leafs in cold water for few hours. To roll the cabbage: place a cabbage leaf in front of you, rib face to you. Place a tablespoon of filling in the centre of the leaf. Roll up the cabbage leaf, tucking both ends. Using a Dutch oven, preheat oven to 350 degrees F, layer the remaining cabbage leafs at the bottom of the dish and organize the rolls tightly in top of each other. Top with the smoked ribs. Add tomato sauce made from fresh plum tomato. 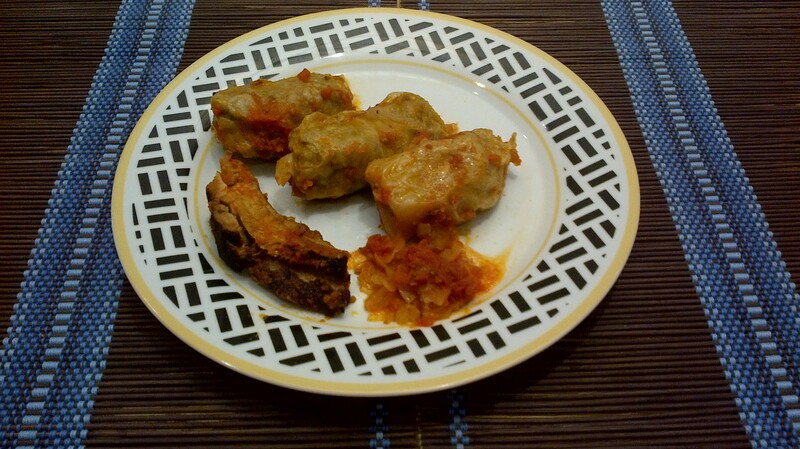 Cover and bake for 3-4 hours or until rice is cooked through and the cabbage is tender. Some people might have problems rolling the cabbage leafs, but hey, try it first and then will talk.